Wood Finishing Open House with Gary Wood - Goosebay Sawmill and Lumber, Inc. Questions about finishing your cabinets, floors or furniture? 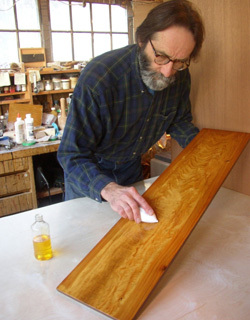 Gary Wood will be at Goosebay Lumber to share finishing tips and demonstrate a full range of products and techniques. This is an open format. You can ask any question of Gary, and even bring in your project for Gary’s expert advice. Drop by anytime between 9am and 1pm.